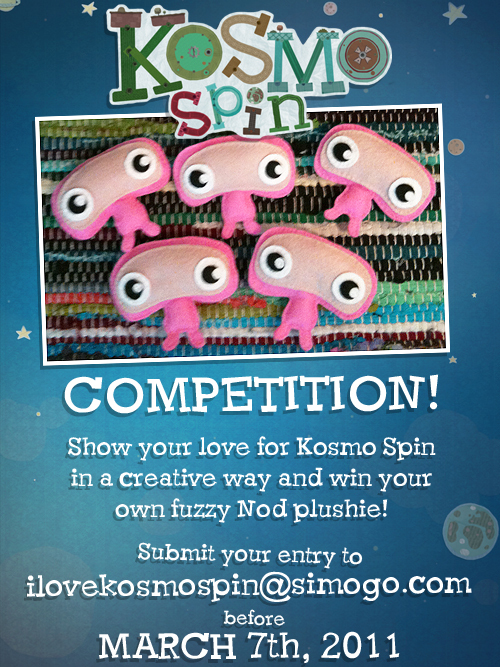 Now is your chance to win your own custom made Nod plushie! We will select five lucky winners from the best entries. Good luck! Previous PostThank Godot It’s Friday!Next PostMaking of Kosmo Spin part 2 – Trailer! what if i’m in Thailand… will i get it if i win?